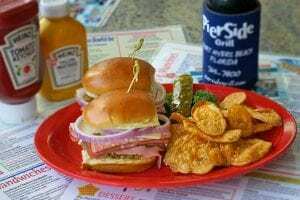 PierSide Grill and Famous Blowfish Bar on Fort Myers Beach is celebrating 20 years on Fort Myers Beach, and is commemorating the special day by hosting its 20th Birthday Bash on Friday, Oct. 28. On the restaurant and bar’s 20th birthday, restaurant-goers will have the opportunity to enjoy $20 pitchers of margaritas and receive a complimentary Key lime bite, available all day long, and pick-one appetizer and entrée combinations for $20, available from 4:30 p.m. to close, with three appetizer and entrée options on the menu. Appetizers will include peel and eat shrimp, fresh Gulf shrimp lightly seasoned, steamed and served still steaming or on ice; pepper cherry calamari, fresh hand-cut calamari, dusted in light breading and flash-fried, served with red pepper cherry sauce for dipping; and beach wings, plump, juicy wings, fried crispy and served with choice of sauce, celery and bleu cheese on the side. Entrées will include Danish baby back ribs, seasoned and slow cooked for hours until the meat is fall-off-the-bone tender, then brushed with house-made barbecue sauce; fish fingers, white flaky fish portions hand dusted with seasoned breadcrumbs; and coconut shrimp, coconut milk-marinated shrimp rolled in coconut flakes, flash-fried and served with house-made red pepper cherry sauce. PierSide Grill and Famous Blowfish Bar opened its doors on Oct. 28, 1996, nestled in the heart of Times Square, right at the entrance to the Fort Myers Beach Pier. 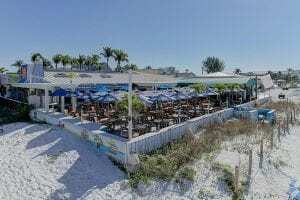 Since its introduction to the Fort Myers Beach scene, PierSide Grill and Famous Blowfish Bar has been a pillar of the community, providing a place for the locals and visitors to grab lunch or dinner, and enjoy the scenic view of the waves alongside fellow beach-goers. 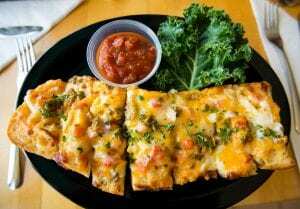 The restaurant and bar is well-known for its popular dishes, evident in the fulfillment of more than 360,000 orders of burgers, more than 230,000 orders of beach bread and nearly 140,000 orders of fish sandwiches in its 20-year span.